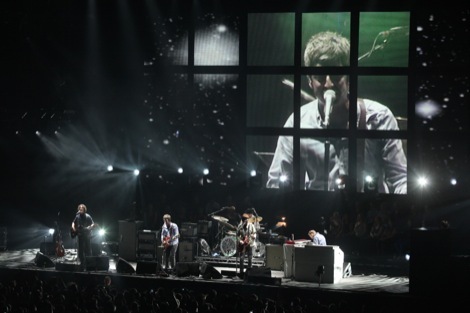 Noel Gallagher plays the hits and the game – and as Peter Guy reports it all goes exactly to plan. Noel Gallagher is a very canny fella. There’s good reason that those within his circle call him the Guvna’. When Oasis officially split, Noel was quick to state that the reason was down to his younger, more volatile sibling, saying he ‘simply could not go on working with Liam a day longer‘. With a shrug, many people accepted this, rather than the paucity of top-drawer latter-day material, was fair comment. In the months that followed, Noel played the PR game to a tee. 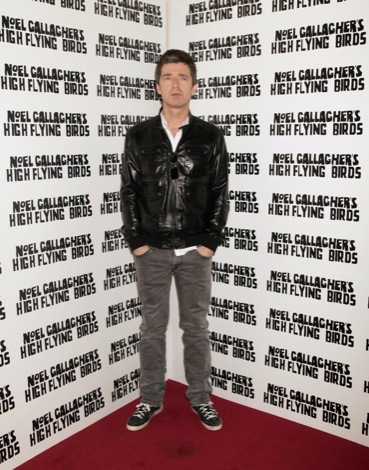 With Liam’s self-styled reputation for rock and roll lunacy cemented, Noel liberally added fuel to the fire, saying the singer had ‘wielded a guitar like an axe‘ during their V Festival fall out and that the Oasis frontman was more concerned with promoting his Pretty Green clothing range than singing the songs. Such was the offhand digs, that Gallagher Jnr was ‘reduced to tears‘ and finally issued legal action against Noel’s ‘lies’. Despite all the media circus there was only really one person that came out of it with any integrity – Noel. He wrote the seminal tracks, he retained his cool, likeable demeanour and backed it up with his infectious wit – and then best of all – he retreated from the limelight. All the while, Liam soldiered on; forming Beady Eye – a quite remarkably awful Oasis Mk II, releasing a quite remarkably awful debut album and following it up with quite remarkably awful live showings. As an Oasis fan, and Liam devotee, this was more than gutting. All, the while, big brother surveyed the landscape, and took carefully stock. 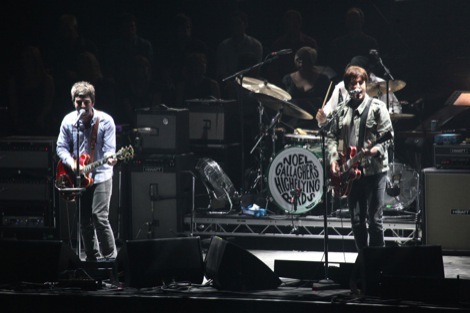 Being the Guvna’, Gallagher would have noticed that Beady Eye‘s material was marketed poorly – and not to mention played terribly – plus the short-sighted stance on not playing Oasis material live was a major failing. And so it was, Gallagher returned with his additional High Flying Birds, armed with an assortment of characteristic Noel laments with just enough canny production twists, a promised psychedelic masterpiece with the Amorphous Androgynous (which he’s subsequently canned), a toned down dancefloor stomp (What A Life!) recalling his Chemical Brothers collaborations and best of all an array of witty anecdotes fit for the comedy circuit. Oh, and a Mario Balotelli number just for good measure. For playing – and talking up – a good game, Noel emerged triumphant netting a number one album while selling out Arenas as tens of thousands sang his old Oasis classics back to him. The cherry on the cake arrived in the form of an NME Godlike Genius Award. 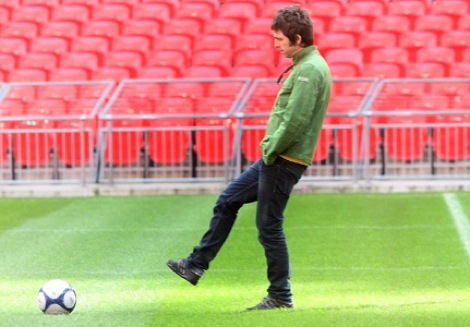 Yes indeed, Noel Gallagher is one canny fella. But what does his live show really offer? Well, judging by his ECHO Arena date, the answer is – a carefully, orchestrated masterstroke in Sunday evening light entertainment. Gone is the ferocious intensity, which endured even in the final death throes, of Oasis‘ live outings, in it’s place is a comfortable, mild mannered knees up. Opener (It’s Good) To Be Free is stripped of it’s swaggering abandon, replaced by a lukewarm strum which sounds at best watered down, at worst like a cover down the Red Lion in Didsbury. Despite Gallagher telling us, ‘we should know this one as it was written in this town,‘ Supersonic also sounds a pale imitation of the rock and roll brat classic that was unleashed like a haymaker to the chops to an unsuspecting public back in August 1994. Yet, Gallagher’s not daft, he realises there’s plenty of tracks in his arsenal that will never diminish, despite being sans Liam; Half The World Away steadily slips by in wistful lullaby fashion, the naff Songs of Praise-style choir can’t fail to ruin the brilliance of Whatever and a lightning-fast Talk Tonight stands up as a stone-cold stunner. Even the distinctly average, Little By Little sounds pretty grand when a sold out Arena balls it’s lungs out like it’s set to be the last time. Perhaps that’s because it stands next to half a set of High Flying Birds-era Noel. And unless you’re easily pleased, then the half-baked oompah (The Death of You and Me), second-rate Kinks (Dream On) and third-rate Oasis (The Good Rebel) really doesn’t offer much. But the Guvna’s still manfully in charge, and as he tosses out a timely superfan favourite in the shape of D’Yer Wanna Be a Spaceman? (dedicated to Digsy) and closes off with a rousing Don’t Look Back in Anger his masterplan comes full circle. 9. D’Yer Wanna Be a Spaceman? 11. AKA… What a Life!